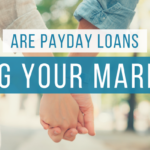 When every last dollar (or entire paycheck) to your name is going to payday lenders month after month, there’s nothing left over to help you pursue your goals. There’s no extra money to save towards buying a home, traveling, or taking your children to Disney world. There’s no extra money to put towards retirement. Whatever your goals may be, many of them involve saving money. However, when there’s no extra money left after paying payday loan lenders, your goals are permanently put on hold. These are the dangers of payday loans. Maybe you dream about quitting your job to pursue your own business or passion; or just start something on the side. Do you love baking? Carpentry? Is landscaping and lawn maintenance something you could turn into a full­ time or side business? There’s typically at least some small costs involved in starting your own side business. But when payday loans rule your finances, there isn’t extra wiggle room to save up some extra cash. Your goals are put on hold and so are your dreams. When your entire paycheck (and finances) are consumed by payday loans, so is your entire life. 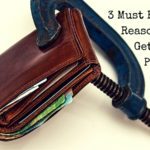 Unfortunately, payday loan debt doesn’t just harm your finances. It can lead to stress, anxiety, depression, difficulties in relationships, and so much more. 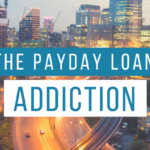 When your life is consumed by payday loan debt, all of your mental energy goes towards your loans. You’re constantly worried about not having enough money to pay lenders or not having any money left over after paying your lenders. When you’re not making forward progression in one pivotal area of your life, like your finances, it often happens that you do not make progress anywhere else, either. When one key area, like your finances, is in total disorder and chaos, you’re so consumed by it that you’re unable to move forward elsewhere ­ in your career, in relationships, etc. You’re so full of fear and overwhelm that you don’t have the necessary energy you need to expend in other areas like growing in your career or working on important relationships, or even physical fitness. If you’re struggling with paying off payday loan debt and are burdened by stress and overwhelm, we can help! 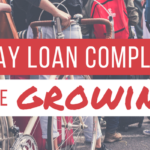 We work with hundreds of people every day to help them get rid of their payday loans. Fill out an application today to find out how we can help you.